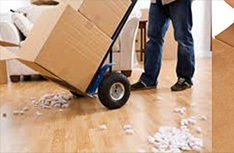 Zorn Moving offers complete moving services including all of your packing and storage needs. Call us today for a free estimate! Fully insured, Zorn Moving offers relocation services for all your needs, whether it is residential, the office or institutional. Call us today at (916) 941-9915! Get a quote today for local or long distance relocation service from Zorn Morving! Serving El Dorado Hills & the Greater Sacramento Area. Zorn Moving has been in business since 1973, a trusted relocation service that can do both local and long distance relocation. Serving Sacramento, Zorn Moving is more than just a transport company. We provide a full range of relocation services for the home, office, lab, factory or library, and we provide a number of other services! As the best local moving company in Sacramento, CA, Zorn Moving and Storage has been helping clients relocate for over 35 years! Whether you need help moving your employees to a new office or you need help relocating to a new home, our skilled professionals are here to take the difficult out of the process. Many people dread the moving process; besides finding a new home, filling out paperwork, and making all the necessary arrangements, you still need to physically move all your belongings. This can cause headaches and dread, especially when you find yourself thinking: “how am I going to move all of my furniture?” Count on us to be there for you in your time of need! We take the difficulty out of any job. 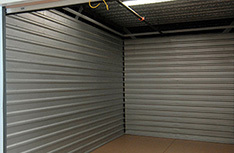 Need a short-term or long-term facility to store your belongings? We’re here to help! We understand that in some instances you might not have space in your home for all your belongings. Our team can help you move furniture, clothes, and just about anything else into our storage facility! Pianos are beautiful instruments – most will even become family heirlooms, but pianos are extremely cumbersome and delicate. With so much at stake, why not let the professionals handle the hard work for you? 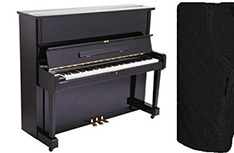 Our piano movers can take the heavy lifting out of moving a piano for you. Whether you’ve just bought a piano and need to bring it home or you’re moving to a new house and need to take your baby grand with you, our professionals are here to make the moving process easier. Gun safes, vaults, and other depositories can weigh hundreds, if not, thousands of pounds. Safes and vaults are some of the heaviest objects in any homeowner’s home! Let our skilled professionals help you move these bulky, burdensome objects. While safes are tough to scratch, they can easily damage the flooring and siding inside of your house. Our professionals will leave your home unscathed when moving safes to and from your home.